BREXIT: Why No Deal Is Better Than An Acceptable Deal! 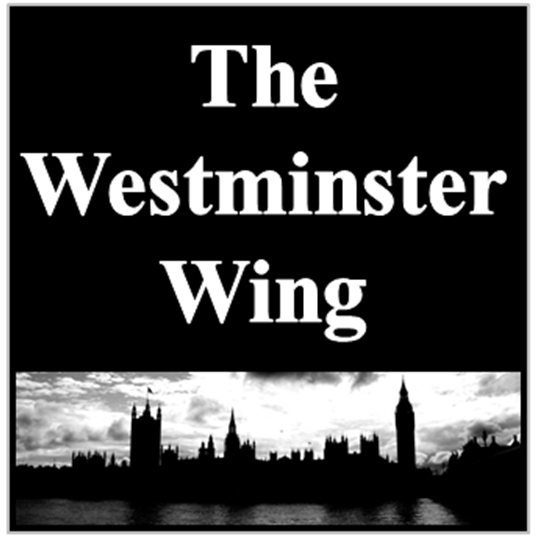 | Politics from The "Westminster Wing"
Imagine bringing together 27 of the world’s top religious leaders in a room and telling them they have 2 years to agree on a single religious text that will be unambiguously followed by their believers! Many of the world’s largest religions don’t even have a definitive leader, due to historical factions and chasms that haven’t healed for centuries. The odds of getting any kind of agreement in 24 months will be long, very long, in fact it would be impossible to get them together in a room in the first instance, simply because they would never allow themselves to be put in a position where they will have to renounce their faith, rendering their entire history irrelevant and their power dissolved. Furthermore, who could possibly be the head of this new totalitarian mythology? Now imagine you are representing Britain’s interests in the on-going Brexit negotiations. The chief negotiator for the EU – Michel Barnier has not only been given his instructions by each of the 27 member states, but also must consider the factions within those states, such as the Walloons, Catalonians, and Sicilians etc. All of whom are demanding he protect their lucrative agriculture, fishing and manufacturing rights. Barnier has said publicly he has “very little scope for flexibility” – even before the talks began. Put simply, he has none at all. He cannot give any concessions to the UK negotiators – his brief is to ensure the UK does not get any kind of deal that looks to the remaining and vexed member states even slightly considerate, for fear of starting an avalanche of withdrawals from the bloc. Since June 23rd 2016, there has been nothing substantial talked about by Brussels. When Theresa May became Prime Minister she immediately attempted to put the rights of expat Europeans on the table, only to be told by Merkel and Hollande to wait until the talks begin. Yet when the talks commenced, there was instantly disagreement about the format the negotiations would take. 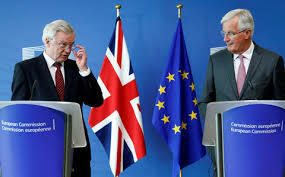 To speed things up David Davies – ill-advisedly – agreed to the EUs schedule of negotiations – which has lead to the current impasse where talks on trade and residency rights can only begin after the Brexit divorce bill is agreed. So where did the idea of a financial penalty come from? There is nothing in any EU treaty, not even article 50, which remotely implies an exit fee! Did the EU just conjure it out of thin air? Yes it did and to understand why, we must go back to the shock result of the referendum. Leading up to that historic vote, a “Brexit fee”, or divorce bill was invented by Eurocrats and Project fear – or remoaners as they are now known. Prominent remainers like; George Osborne, Nick Clegg, Branson and panicking supporters of globalism seized on the idea to further their cause and frighten British voters into choosing to stay in the EU. In itself, this imaginary financial penalty was never going to be a referendum winner, but added to the Project Fear armoury of 3 million job losses, punishment budgets and Obama’s threat that Britain would be sent to the back of the queue in UK-US trade deal negations, it did strengthen the remain campaign and undoubtedly influenced some voters to change their minds and vote to stay in the EU. The second purpose of the mythical divorce bill was to cause delays in what should be easily agreed leaving terms. There is no reason why Britain should not be given a free trade deal with the EU. Chile, Jersey, Egypt, Palestine, South Africa and Turkey along with over 20 other countries around the world have a free trade deal (FTA) with the EU and don’t have to accept open borders in return. Brussels could easily agree a bilateral FTA with the UK today. The UK has offered it already. All our exporters have complied with EU export regulations for more than 40 years, so there is no red tape required. There is no obstacle to be overcome on either side unless; we are simply being made an example of, to discourage other less enthusiastic members of the EU to never offer a referendum to their people. So, what would be a good deal for the UK? Put simply, a FTA on goods and services with no strings attached regarding free movement of people (open borders) – No jurisdiction in law or sovereignty from the EU over the UK. Continued sharing of intelligence and no fees or payments or subscriptions from either party. But here we are, discussing a bill that cannot be quantified or justified because it is illegitimate. Proof – if it were needed – that the EU is delaying and sabotaging all efforts for an agreement by putting businesses, people’s lives and jobs in jeopardy while they cast around for an alternative way of winning. Each and every day wasted on these negotiations provides Brussels and the Remain camp with an opportunity to kick a decision further into the long grass in the vain hope the people of Britain will change their minds through weariness and cede power back to federalism and the cosh of unelected bureaucrats in the capsizing EU. The solution? Simple! Walk away without a deal. Offer the EU a FTA and immediately sign bilateral FTAs with the rest of the world. Under World Trade Organisation rules, no country can impose tariffs or regulations on another if they are not agreed and reciprocated. The EU would have no alternative than to replicate our terms bilaterally. We would pay no divorce settlement and benefit from cheaper goods and services from around the world from day one.